The Telehook TH-1040-CT-DV from Atdec is an accessory kit that enables attachment of a second screen to the TH-1040-CTL and TH-1040-CTS ceiling mounts. This allows for the mounting of two displays, one above the other. 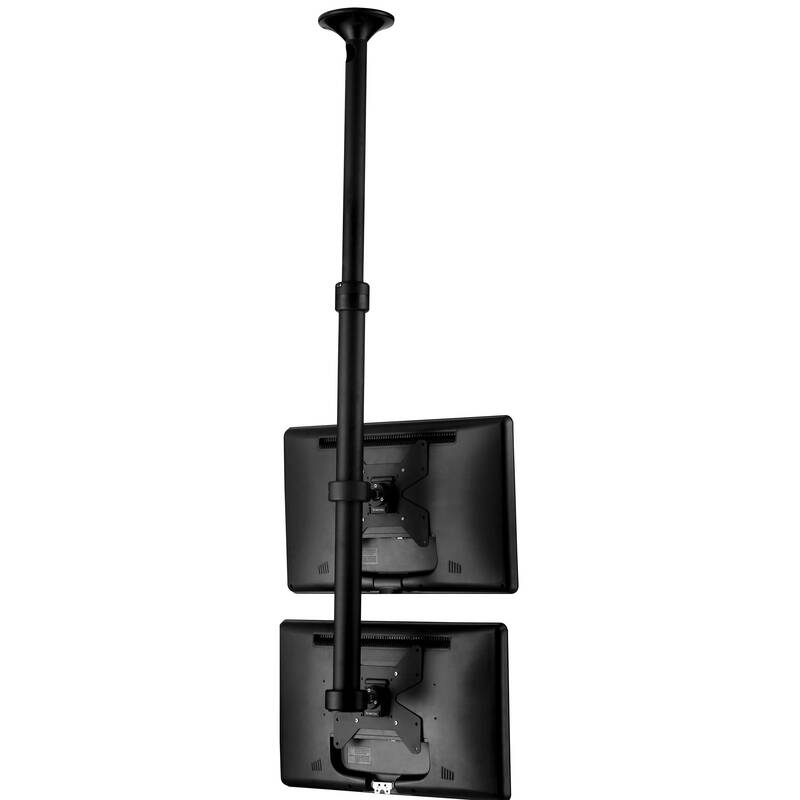 It can pan and tilt 20° in any direction, rotate the display 360° to change from portrait to landscape, and rotate 360° around the mounting pole. The TH-1040-CT-DV is made of aluminum and steel, can support up to 55.1 lb and includes a complete mounting hardware kit. Its VESA plate supports the 75 x 75mm, 100 x 100mm, 200 x 100mm, and 200 x 200 mm configurations, and features a quick release mechanism and a security screw. Box Dimensions (LxWxH) 9.75 x 9.0 x 8.5"